Mr. Hyong J. (H.J.) 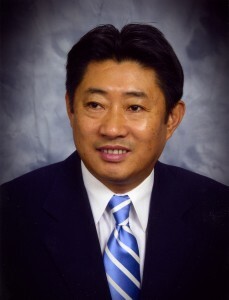 Yu is the founder and principal of H.J. YU and Associates, LLC since 1989. He has been providing a wide range of business services to small businesses and individuals in the areas of income tax preparation, accounting, business consulting and IRS representation throughout the Portland and Vancouver areas. Over 25 years of experience will help you solve the tax problems from tax preparation to representation before the IRS for audits, collections, and offer-in-compromise. Mr. H.J. YU has received his B.S. degree in Accounting from the Portland State University in 1983 and became an Oregon Licensed Tax Consultant (No 4815) in 1989 and Enrolled Agent in 1995. He is currently a member of NAEA and Oregon Society of EA.